The plan, developed through an inclusive community design process, will be a tool to assist the City of Santa Rosa and the Community to identify those key Capital Improvement Projects (CIPs) in the Courthouse Square Area which will maintain Downtown as the major regional office, financial, civic, and cultural center in the North Bay with a stronger sense of place. 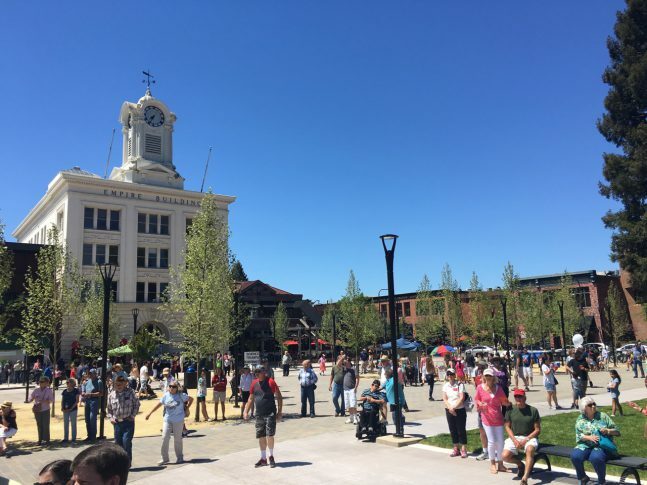 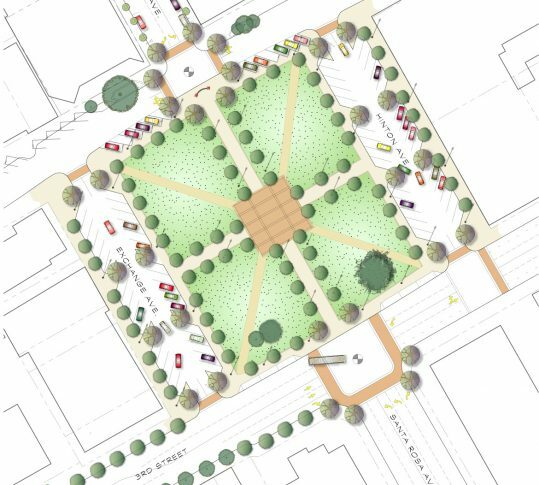 The Courthouse Square Reunification will close Santa Rosa Avenue through the square, re-establishing it as the heart of the community with a centralized 1.5 acre green. 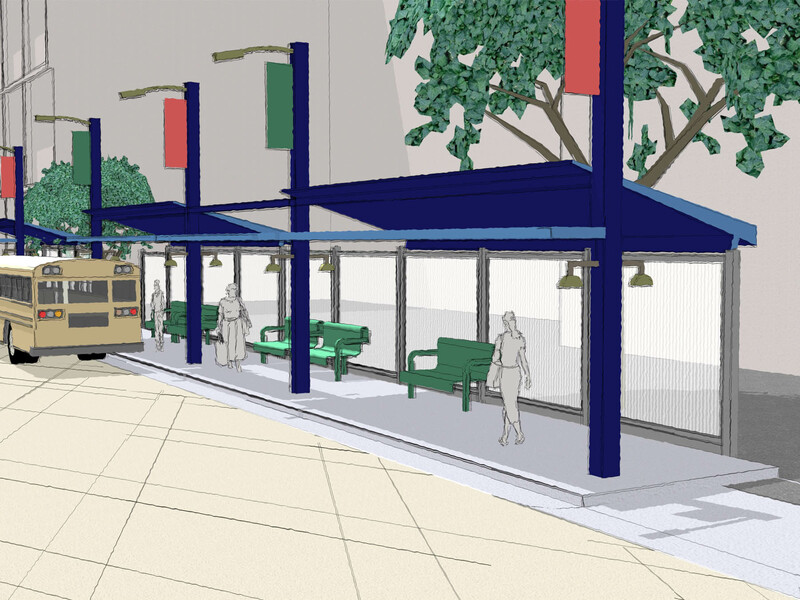 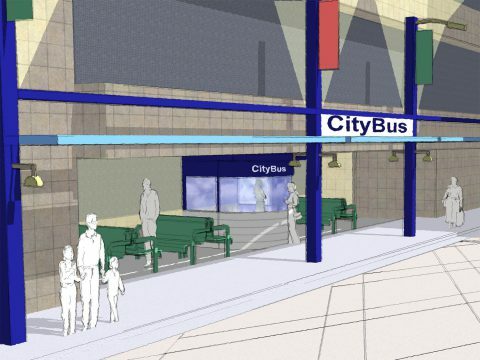 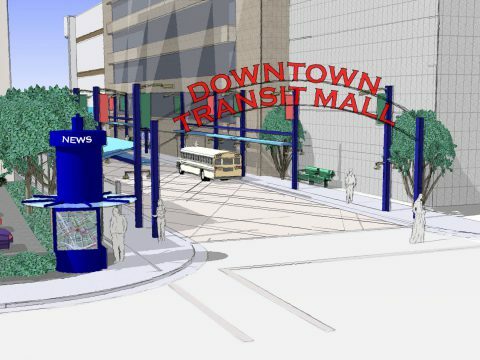 The recommended Transit Mall enhancements represent a “kit of parts” which build off of the existing structures and amenities. 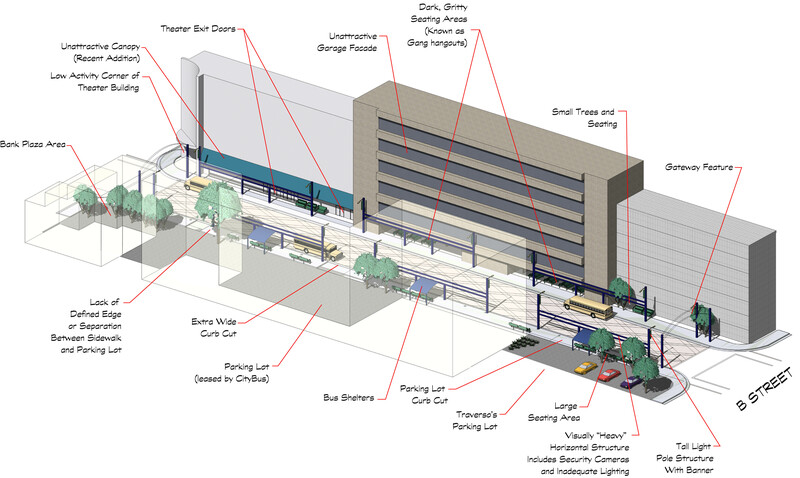 The elements provide a more enlivened, safe and comfortable space, while being relatively easy to maintain. Define the downtown as a place to live, work and play, symbolized by a reunified Town Square. 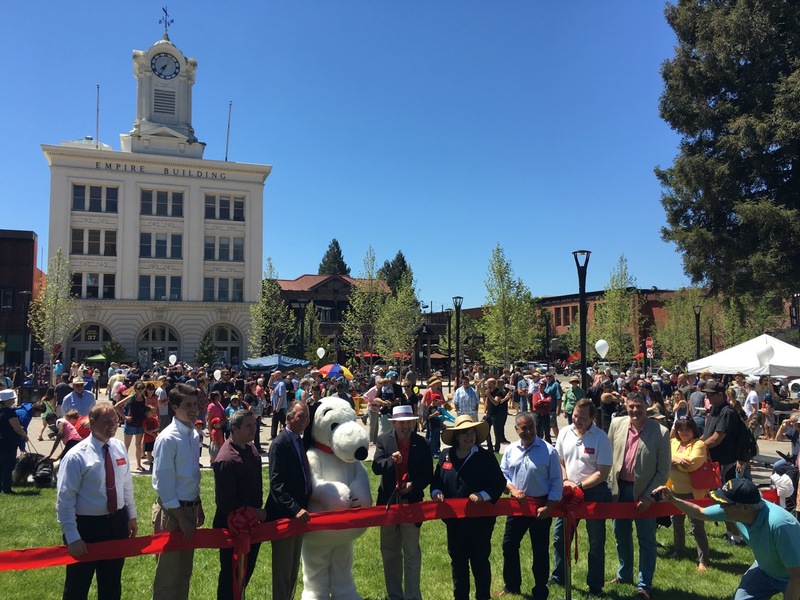 Identify key Capital Improvement Projects (CIPs) in the Courthouse Square Area in order to reinforce Santa Rosa as the major regional center in the North Bay. Create a unified network of pedestrian focused and bicycle friendly streets that have the character of historic Santa Rosa.